Founder member of the band, he is the prime composer of many of Ubi Maior songs. 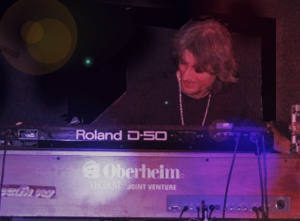 At the beginning of the '90s, together with Simone Rossetti (The Watch), he joined a Marillion cover band. 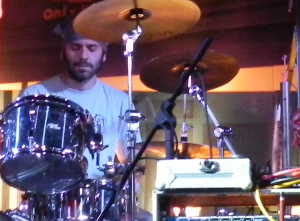 Together with drummer Alessandro Di Caprio he joined some bands from Milan (Lighthouse Keepers, Ice Chain), performing original songs and hard and progressive rock covers. In 1998 his love for progressive rock music moved them to find other musicians to share this passion and they gave life to Ubi Maior with Stefano Mancarella, Lorenzo Marotta and Walter Gorreri. From 2000 to 2004 he took part to the band The Watch both for studio albums and live gigs. Simultaneously to Ubi Maior releases he recorded two solo hard-progressive albums under the Archangel monicker: "The Akallabeth" in 2009 and "Tales of Love and Blood" in 2013. Born in Cagliari, where he studied violin and piano at "Conservatorio Pierluigi da Palestrina". He moved to Milan and joined Ubi Maior in 2002 as vocalist and lyricist. From 2005 to 2012 he took part to Oskar Boldre's "Ancore d'Aria" poliphonic choir. He trained in vocal technique, vocal percussion, choir direction, overtone singing, jazz and improvisation with several courses and masterclasses held by Joey Blake, Rhiannon and Dave Worm (members of Bobby McFerrin's Voicestra), Oskar Boldre, Daniela Panetta, Tran Quang Hai, and other master vocalists. Alongside Ubi Maior, he currently performs as singer, violinist and composer with his impro/ethnic vocal quartet Le Vie dei Canti, jazz duo Double Talk (with bass player Claudio Resentini), and Paolino De Stefano's project Ubuntu VideoOrchestra. He also works as modern singing teacher, tenor in grand opera choirs, and holds vocal improvisation and choral workshops. Born in Rome, where she studied modern and jazz guitar at "Ciak" music school. In 2008 she founded the progressive rock band Shylock; the project in now called "S'hyl" and features Luca Cristofaro on bass and Alex Poletti on drums. She joined Ubi Maior with great enthusiasm in 2011. 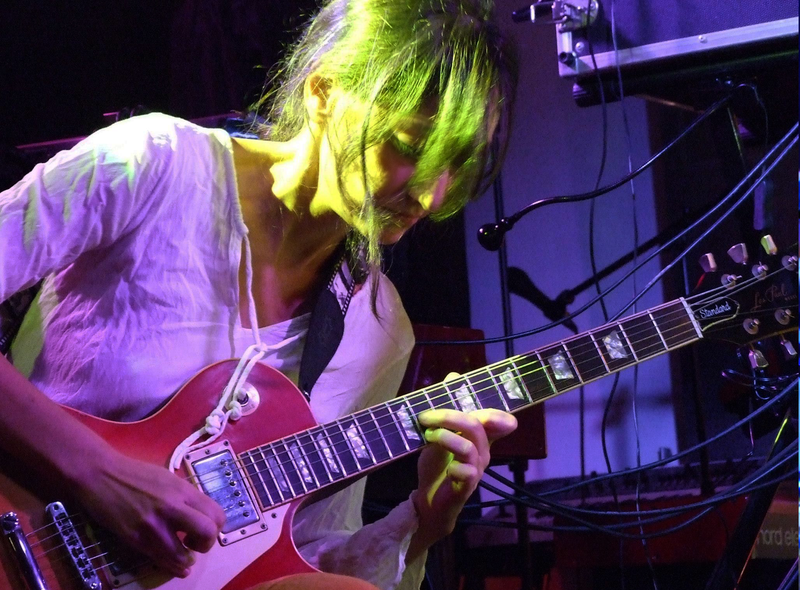 She is guitarist in a Marillion tribute band "Mr. Punch" and she is also involved in some other prog projects, Hostsonaten, Fufluns, Coscienza di Zeno, IsProject. Beyond being a musician, she works as music therapist and music pedagogist in primary schools and disability services. A spanish admiral? A pirate? Sherlock Holmes? 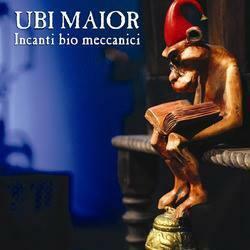 Who's the new bass player in Ubi Maior? Gianmaria Giardino is the new guy...23 years old...full of surprises... WELCOME ON BOARD! 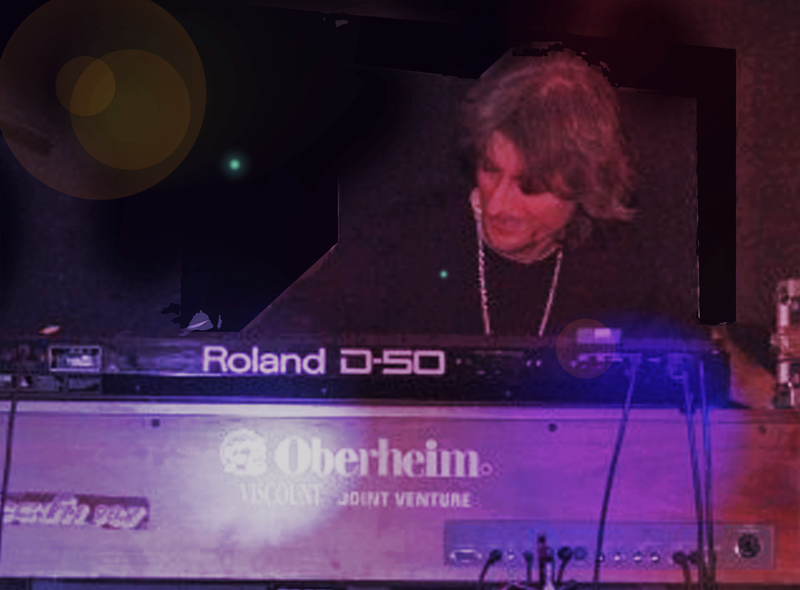 Founder member of the band with Gabriele Manzini, he studied drums and percussion with Lino Vaccina. 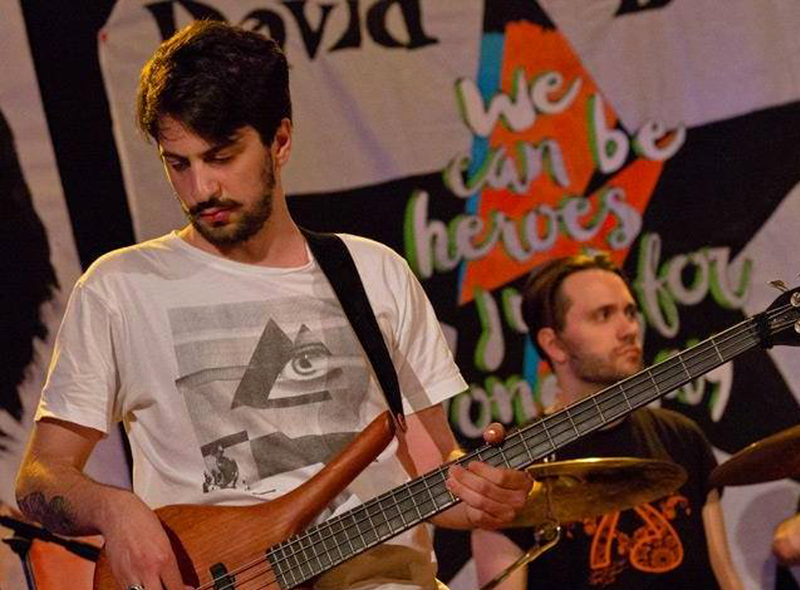 Beyond Ubi Maior, some other bands in Milan feature his collaboration with Gabriele Manzini: Lighthouse Keepers, Ice Chain; they perform original songs and hard and progressive rock covers. 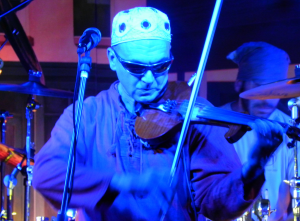 Since 2011 he joined "FONC" Fanfara Orchestra with Mario Moi; this ensamble permorfms in Italy and in France with musicians from both countries.